This classic acrylic award features a marbled finish and curved top to a traditional rectangular design. The white plastic weighted base offers a sophisticated yet sturdy foundation to this exquisite award. Polished acrylic offers value in an august award design. This elegant black mirror plaque is 1/4" thick and features a 1/2" bevel all around to frame your personalization and offer dimension to the plaque. Whether you have the plaque itself personalized or add a plate for added elegance or a pop of color, you have created a stunningly unique plaque to recognize achievement. This plaque is available in 4 sizes to fit your award needs. These black oak finish step and roll edge plaques are the perfect fit when you need a plaque for your award needs. 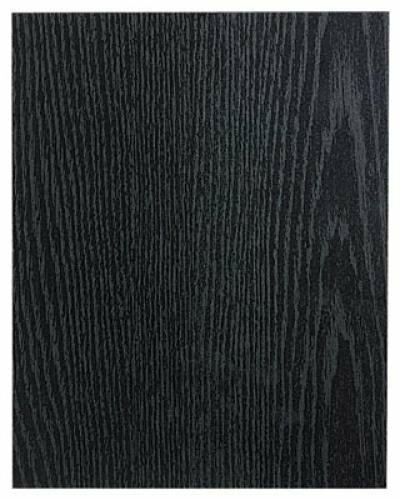 The step and roll edge continues the beautiful black oak wood grain finish of the entire plaque. Flexibility is the key to these awards as they are available in 8 different sizes, 4" X 6", 5" X 7", 6" X 8", 7" X9", 8" X 10", 9" X 12", 10 1/2" X 13", or 12" X 15". They all provide ample room for whatever you personalization needs might be. Elements of wood, acrylic and metal are combined to make this stunning award truly unique. A rich high gloss black piano finish diamond serves as a backdrop to frame the personalized acrylic. Both are embellished by satin silver finish standoffs that raise the acrylic up to create a floating affect. The diamond is mounted to an arched satin silver finish base that gives the completed award a classic feel with a sleek, modern look. Available in two sizes, this recognition of excellence in achievement is perfect for any event. Silver florentine border with textured black center on black piano-finish plaque. Laser engravable aluminum plate. Individually boxed. An Elegant black piano finish with an acrylic or glass engraved plate floating 1/4" above the plaque wood for a three dimensional look and feel. Each plaque has a felt back for added elegance. Can be displayed on the wall or on a desk using the included back pin mounts Full color imprinting available as an optional imprinting method for this award. This black piano finish plaque is solid wood with a multi-coat buffed lacquer finish and a felt backing for added elegance. The vibrant personalization area of the plate is framed and highlighted by a colorful, modern art pattern. Pair the two for a modern twist on a very classic award. Artist plates are available in blue, burgundy, green, and black. Black stained piano finish plaque with an antique silver finished frame casting and black aluminum engraving plate. The same production techniques used to give expensive grand pianos their glossy look is available as a recognition award. Over six layers of lacquer are hand applied and polished to create our plaques. Laser engravable aluminum plate. Individually boxed. Black stained piano finish plaque with a black brass plate and gold braided design border. The same production techniques used to give expensive grand pianos their glossy look is available as a recognition award. Over six layers of lacquer are hand applied and polished to create our plaques. Laser engravable solid brass engraving plates. Individually boxed. Phone: 480-892-1516 Toll-Free: 1-877-821-4688 Fax: 480-892-3694 Powered by BizWizard ShopKart by NetSoft Studio, LLC.